 MUST understand how ozone protects living organisms  SHOULD understand how to decide whether to accept different risks. 6 1)Ultraviolet 2)Absorbs ultraviolet radiation, so less ultraviolet reaches Earth. 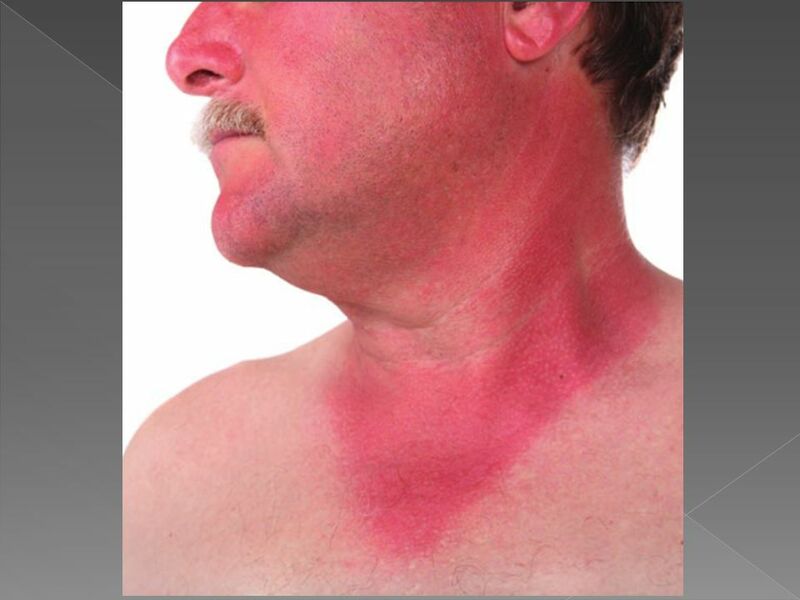 3)It is not possible to reduce all risks (exposure to ultraviolet radiation is not the only cause of skin cancer); nor can we limit exposure to the sun to zero without suffering other health risks. 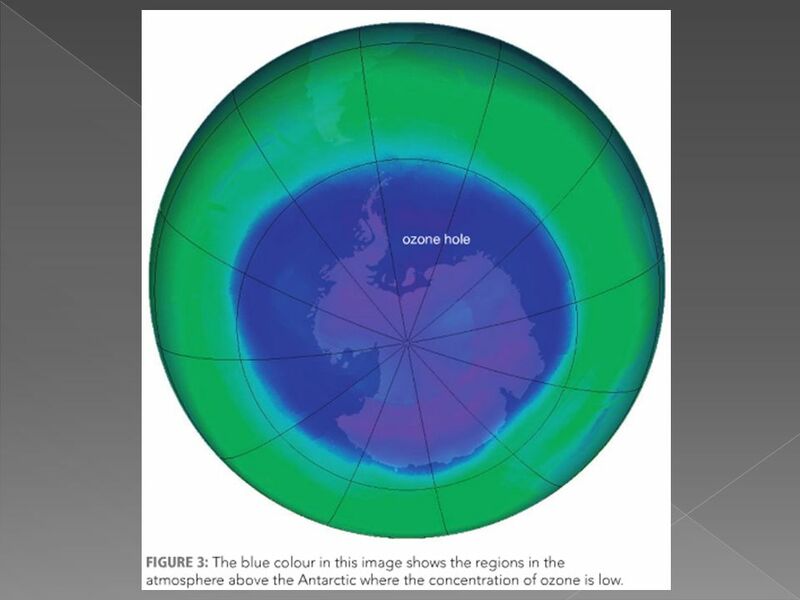 4)By studying the health records of thousands of people living in regions affected most by changes in the ozone layer. 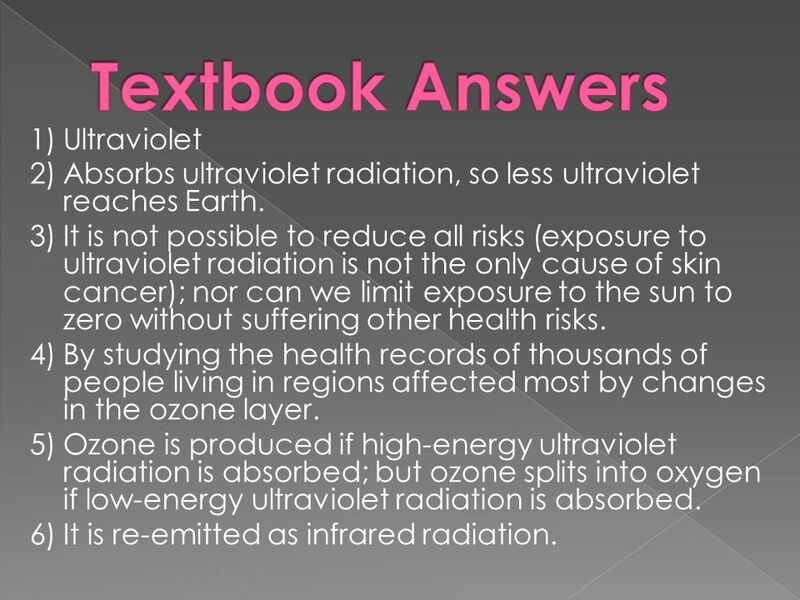 5)Ozone is produced if high-energy ultraviolet radiation is absorbed; but ozone splits into oxygen if low-energy ultraviolet radiation is absorbed. 6)It is re-emitted as infrared radiation. 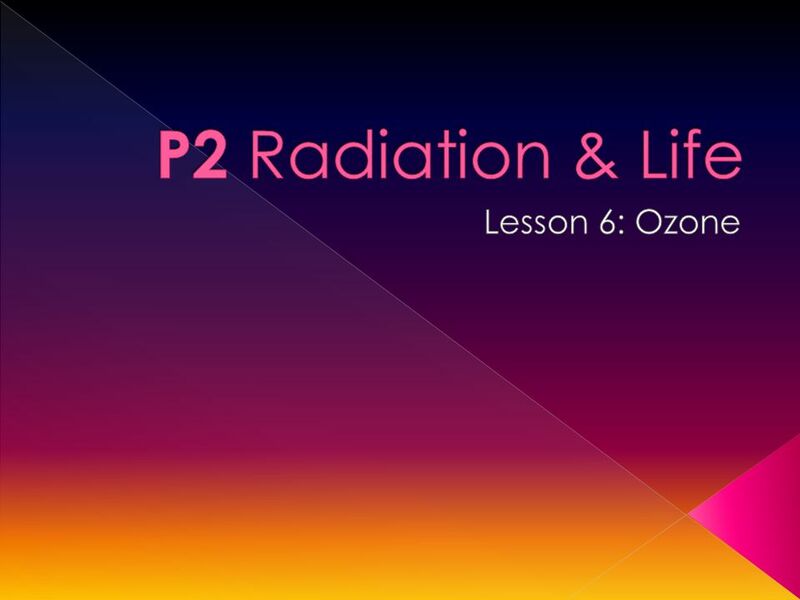 Download ppt " MUST understand how ozone protects living organisms  SHOULD understand how to decide whether to accept different risks." What is Ultraviolet Radiation? By Morgan B. Table of Contents. Atmosphere of the Earth Composed ofFunctionsLayers Did you know. Electromagnetic Waves. What are they? Electromagnetic waves are energy which radiate from a source in a wave pattern – troughs and crests Waves can be. Chapter 26 Ozone Depletion. 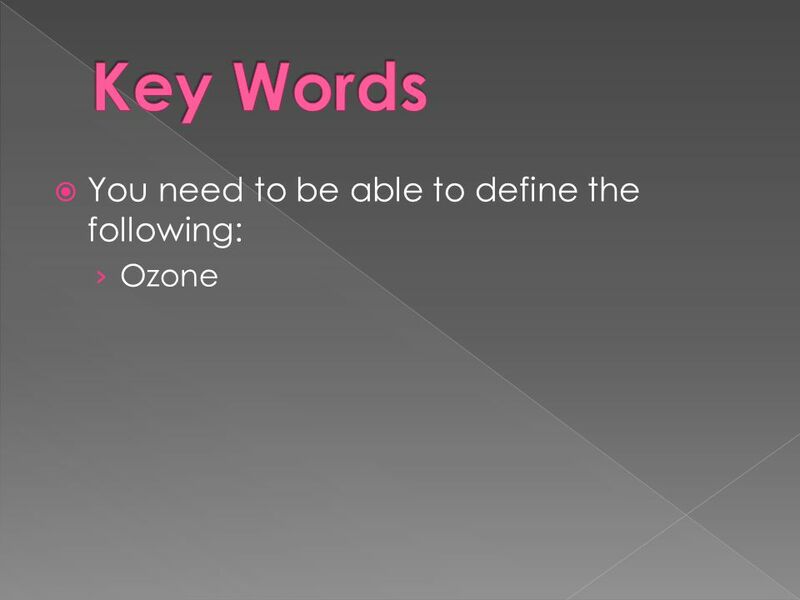 Ozone A form of oxygen in which three atoms of oxygen occur together. Chemically active and has a short average lifetime in. The Ozone Layer. * What is the stratospheric ozone? The stratosphere is the second major layer of Earth's atmosphere, just above the troposphere, and. Contents INTRODUCTION COMPONENTS OF ENVIRONMENT FOOD CHAIN FOOD WEB HUMAN ACTIVITIES AFFECTING THE ENVIRONMENT PROTECTION OF ENVIRONMENT. Dr. Ron Lembke. Sun sends UV? Infrared – show on spectrum. Do Now Put the layers of the atmosphere in order: (stratosphere, thermosphere, troposphere, mesosphere). In which layer do we live? In which layer is the.